Pastor Cochran was born in Dalton, Georgia and graduated from Dalton High School in 1972. He is also a graduate of Luther Rice Seminary, and Liberty University from which he holds the Doctor of Ministry Degree. Danny has served Holly Creek Baptist Church since 2000. Danny and his wife Tina have two adult sons. Ray serves as Family Minister at First Baptist Chatsworth and is married to Tracie. They have one daughter, Makinnley. Stephen and his wife Kelly, along with their two daughters, Danielle and Alyson, are actively involved in the Holly Creek Church. Danny’s hobbies are hunting, motorcycle riding and bicycle riding. Stories about his raccoon hunting in the mountains of North Georgia often find their way into his sermons. John joined our staff in April, 2018 as Associate Pastor. Robert was born in Ooltewah, Tennessee and grew up in Dalton, Georgia. He graduated from North Whitfield High School in 1974. He holds an Associate of Arts degree from Dalton College, a Bachelor of Science degree in Ministry Studies from Shorter College, a Bachelor of Science in Church Music from Tennessee Temple University, and a Master of Arts from Liberty University. 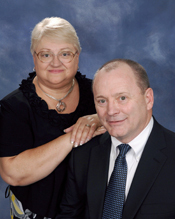 Robert has served Holly Creek Baptist Church since 1997. Robert previously served as Minister of Music and Youth at Harvest Baptist Church in Dalton, Georgia. 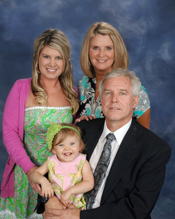 Robert and his wife, Joye, have one daughter, Mindy and a granddaughter Millee-Kate. Russell was born in Dalton, Georgia and grew up in the Dawnville area. He graduated from Southeast Whitfield High School in 1993. He has received a Certificate in Biblical Studies from Moody Bible Institute and is currently enrolled at Tennessee Temple University. Russell became a member at Holly Creek Baptist Church as a junior in high school in 1991. 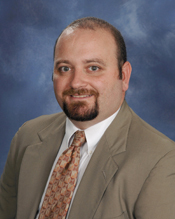 In 2005, Russell began to serve as Children’s Minister at HCBC. In 2009, the Lord led Russell to become Student Pastor at Homeland Baptist Church, where he served there for over four years. The Lord called him back to serve at HCBC as Student Pastor in the summer of 2013. Russell and his wife, Shalina, have one son, Chandler. Marla joined our Holly Creek Baptist staff in August of 2017. Lydia was born in Dalton, Georgia and grew up in Chatsworth, Georgia. She graduated from Murray County High School in 1989. She began working in the medical field where she made her career for 23 years. After taking a few years off staying home with her son, she began working at Holly Creek in June of 2016. She is married to Ryan Sparks who is a flight paramedic with Erlanger LifeForce Air Medical and they have one son, Mason.